When the Takata airbags recall became news in New Zealand, NZ Transport Agency called Webstruxure with an urgent need to provide information to the public through as many channels as possible, to handle the massive amount of web traffic triggered by the story. Our web developers leveraged the existing Rightcar vehicle database to build a fast and stable microsite, which was up and running within 24 hours. The story about vehicle recalls for airbags made by Takata has been running world-wide for a couple of years. Many years-worth of manufacturing production are required to resolve a problem on this scale and so the interim fix of turning off airbags was approved in Japan for some vehicles – including some that have ended up being imported to New Zealand. When news broke in New Zealand of this practice and its implications for road safety here, it generated a firestorm of local interest. The Transport Agency needed to ensure key channels could deal with the volume of web traffic created by, and the level of detail required to address, public concern about safety of such a wide range of vehicles. 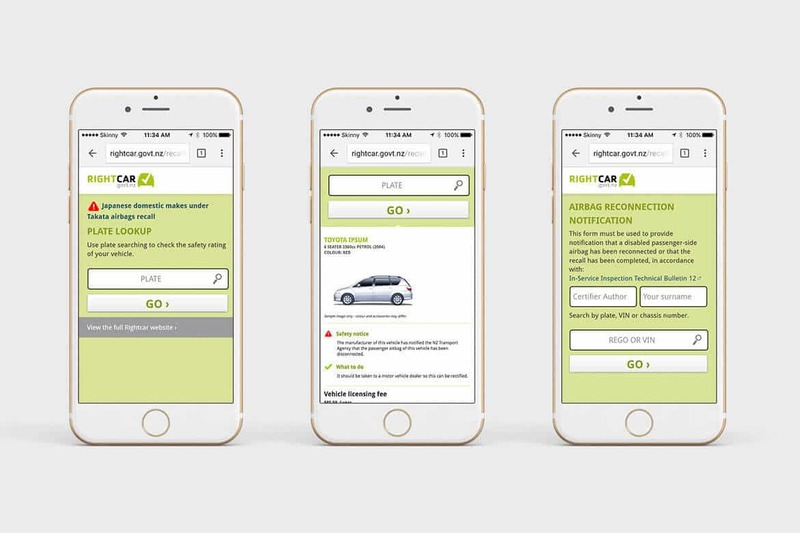 The Transport Agency approached Webstruxure to discuss the feasibility of developing a microsite to display information relating to the recalls. By leveraging the existing Rightcar vehicle database (also developed by Webstruxure for the Transport Agency and EECA), our web developers were able to implement a microsite to display the content, that was light (HTML, CSS, images and content all add up to 15kb), fast (page loads in 140ms) and stable. The recalls microsite was developed and live in less than 24 hours from the go-ahead from the Transport Agency and did not struggle to handle the server load placed on it. are passionate about delivering good quality product and beating deadlines. Over the following days and weeks we worked with the Transport Agency to translate and make use of more detailed Japanese recall data as it became available. This refined data was used to progressively enhance the Takata recalls microsite. Manufacturers also began providing the Transport Agency with lists of individual vehicles that were affected. We used these to display warning flags against vehicles on the Rightcar site (reusing the mechanism already in place for warnings about vehicles that have been written-off in the past). 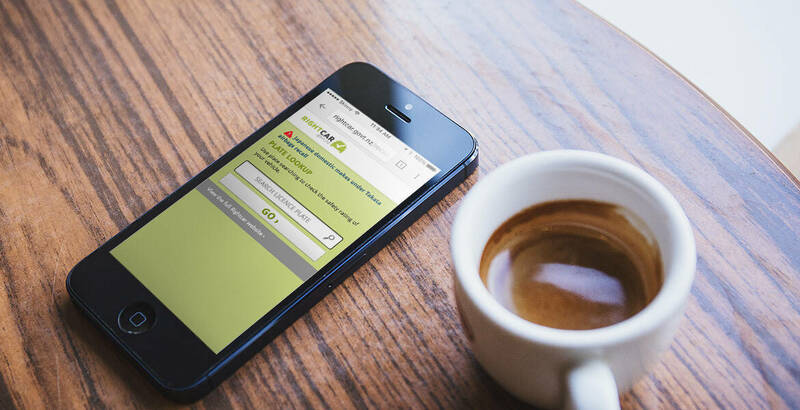 We were then able to quickly evolve the mobile version of Rightcar into a simple tool for WOF agents to check for these warnings, and record Takata airbag replacements once vehicles have been properly repaired. If you need web development, data, integration, web support services (and more) for your own website, get in touch with our team today.